Traditionally speaking, Apple has generally favored releasing new versions of iOS and OS X on a staggered basis rather than bombarding users with upgrades at the same time. The inclusion of the impressive Continuity features that were unveiled at this year’s Worldwide Developer Conference had led some corners to believe that iOS 8 and OS X Yosemite would be made available to the public at the same time this fall, but according to those familiar with Apple’s plans, that doesn’t seem to be the case. 9To5Mac is reporting that Apple will stay true to recent tradition by releasing each major software upgrade on an individual basis. If the predictions turn out to be true then we could see the latest version of iOS launch alongside the next-generation iPhone at some point during the month of September. The latest and greatest model in the iPhone range is always the first device to ship with the latest version of iOS installed out of the box. If last year’s release of the iPhone 5s and 5c is anything to go by then we should expect that release in September. A September launch of iOS 8 would see the the much-anticipated OS X Yosemite making its way onto the Mac App Store as a free-of-charge upgrade a few weeks later during the month of October. Once again, this would directly mimic last year’s release of OS X Mavericks. Apple’s announcement of Continuity during WWDC is an exciting development for iOS and OS X, allowing the mobile and desktop operating systems to be tightly integrated with one another like never before. 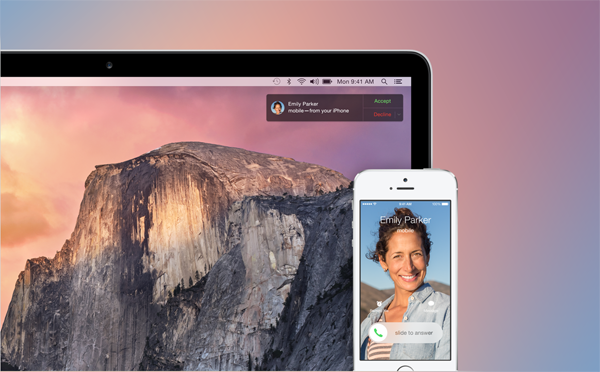 Continuity effectively allows a new level of seamless connectivity between Mac computers running Yosemite and iPhone, iPad and iPod touch hardware running iOS 8. Users will be able to begin drafting an email using one of Apple’s mobile devices running iOS 8 but benefit from the ability to continue working on that mail using a Yosemite powered iMac or MacBook. The software will also afford users the ability to answer incoming phone calls on a Mac computer as well as read and reply to those pesky “green bubble” text messages that come from friends, family and colleagues without iMessage. The recent announcements surrounding iOS and OS X undoubtedly show that both operating systems are set to become more integrated with one another with each major release, but we won’t be seeing a joint launch. At leas not this time around.